Fez - Morocco’s Ministry of Tourism has adopted a rigorous strategy for developing Morocco’s tourism sector to make Morocco one of the world’s leading travel destinations and to sustain tourism as the driving power for economic, social, and cultural advancement in Morocco. The government’s 2020 Vision Plan, which aims to increase revenues from tourism to MAD 140 billion by 2020, focuses on authenticity to make Morocco a more attractive destination for tourists. The ministry will adopt preemptive measures to preserve Morocco’s natural and cultural heritage to strengthen Morocco’s cultural identity. Fez – Morocco’s Ministry of Tourism has adopted a rigorous strategy for developing Morocco’s tourism sector to make Morocco one of the world’s leading travel destinations and to sustain tourism as the driving power for economic, social, and cultural advancement in Morocco. The government’s 2020 Vision Plan, which aims to increase revenues from tourism to MAD 140 billion by 2020, focuses on authenticity to make Morocco a more attractive destination for tourists. The ministry will adopt preemptive measures to preserve Morocco’s natural and cultural heritage to strengthen Morocco’s cultural identity. 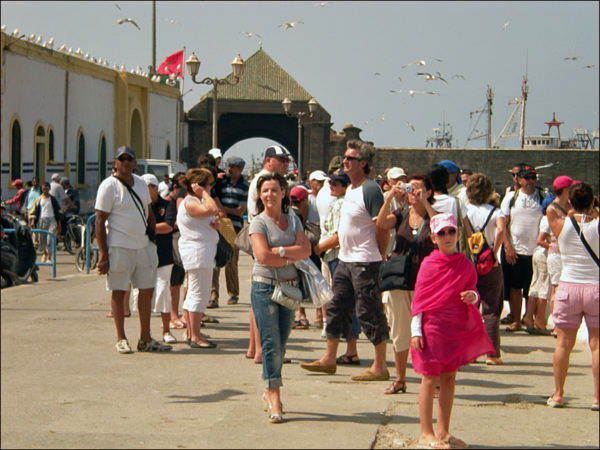 The 2020 Vision also encourages Morocco’s diverse sub-cultures, natural resources, and ecological system, and openness to Africa and Europe, The Ministry of Tourism works on these factors to make them meet the expectations of tourists. The 2020 Vision also focuses on service quality and entertainment to complement the basic tourism infrastructure. Morocco will increase its accommodation capacity, focusing on varied entertainment and leisure facilities in order to compete with other international tourism chains. Sustainable tourism is also among the major objectives of the 2020 Vision. The Ministry of Tourism will continue working on factors that have made Morocco a better touristic destination. The strategy will take into consideration maintaining authenticity and modernity through implementing an integrated system that involves monitoring and evaluation by the Sustainable Tourism Commission and the High Authority of Tourism. In order to cater to this ambitious vision, Morocco will double its residential capacity by creating 200,000 beds, double domestic tourism, and create 470,000 jobs. Abderrafie Zouiten, Morocco’s General Manager of National Tourism (ONMT), said in a meeting last Wednesday that “Morocco wants to attract 1.5 million tourists in the next two years” which will require an additional MAD 400 million over and above the cost of 2020 strategic vision. This plan focuses on tourists from Germany and the United States. Morocco’s plan is to forge new partnerships with airlines and open 57 aerial routes. Zouiten also explained that the office primarily uses digital media to provide information regarding Morocco’s geographical distribution of tourism, enhance Morocco’s reputation for tourism, and announce the administrative procedures needed for foreign tourists to come to Morocco. “These steps which will be available next month, will enable 80 percent of tourists to use the Internet for planning and booking their trips,’’ he added.